Disclaimer- I received free internet service while on the cruise and dinner for 2 at the steakhouse on the ship in exchange for posting about my vacation. I wasn’t required to write so many posts but I had a lot to say. I received no other compensation and all opinions are 100% my own. Last month I turned the big four – oh! I decided I didn’t want to have a party and chose to go on a family vacation instead. My family and I went on a 7 day cruise on the Carnival Glory and I couldn’t be happier with our choice. We signed up for the Faster to the Fun “Excursion” before we even left for vacation. 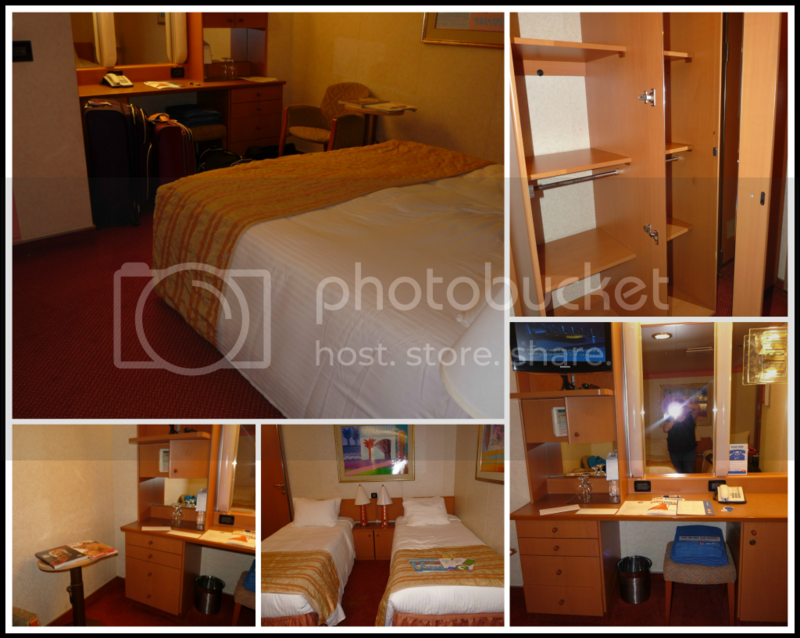 It was only $50 per stateroom and it was the perfect choice for us. With Faster to the Fun we were able to get on a much smaller line to get onto the ship for our initial boarding. We also received our luggage in our cabin very soon after we arrived on the ship so we were able to unpack and settle in as soon as we got there. It really made our vacation start off much more relaxing than to not have any of our things upon arrival. My favorite perk of Faster to the Fun is that there is a special line at the Guest Services desk for people with Faster to the Fun. It was nice not having to wait on a longer line to get my questions answered at Guest Services. It made me feel like a VIP. I was also very impressed that the second time I went up to the Guest Service line the Guest Service representative who helped me the day prior remembered my name before I even gave her my cruise card. That was a nice personal touch. We had opted to get two adjoining rooms for the four of us and it was a great decision. My girls shared a room and they each had their own bed. My husband and I had our beds pushed together before we arrived. We were able to keep the door in between the rooms open so my girls were never really alone. It was nice having two separate bathrooms to get ready in but we would’ve been okay if all four of us shared one room. One room was spacious enough. The room included a minibar with a refrigerator which I liked. It was nice having a small refrigerator to keep things cold. Each room had a TV and while the channels were limited my girls were able to find shows that they liked to keep them busy while we are in the room. The room also included a safe, hair dryer, hangers in the closets, a mailbox outside the door to leave notes, a clothesline in the bathroom. 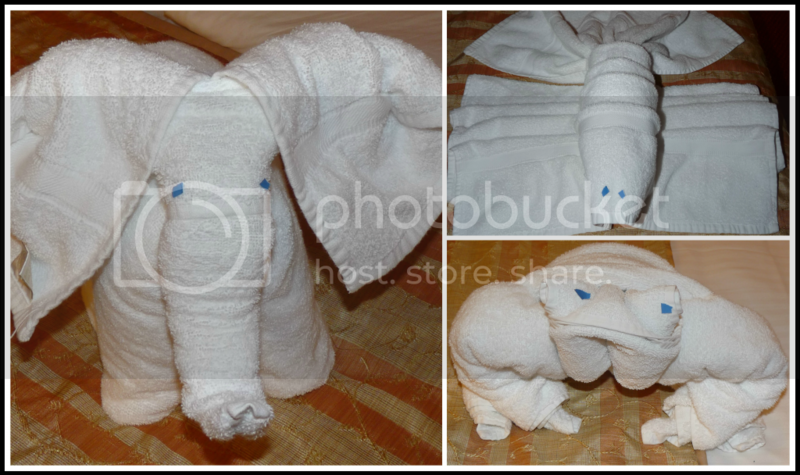 The bathroom had a basket of toiletries such as shampoo, conditioner, and lotion, and in the closet was a robe for each guest to use while on the ship. The shower was just big enough that I was able to help my daughter wash her hair and the adjustable shower arm was a helpful touch. Here are some of the goodies that were left for us in our room. 🙂 My daughter wanted me to mention that her favorite part of the room was the nightly chocolate on her pillow and towel folded into the shape of an animal. 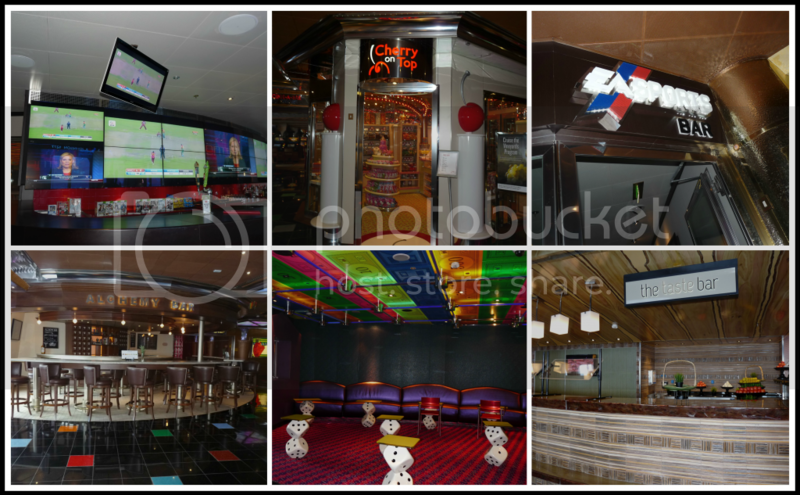 There was so much to do on the ship including minigolf, ping-pong, a life-sized chessboard, several pools and hot tubs, a water slide, many different places for live music, a spa, fitness area, kids arcade, and nighttime movie playing on the big screen by the pool, a casino, and so much more. the casino had something for everyone. There were slot machines for $.01, $.02, $.25, $1, and up. 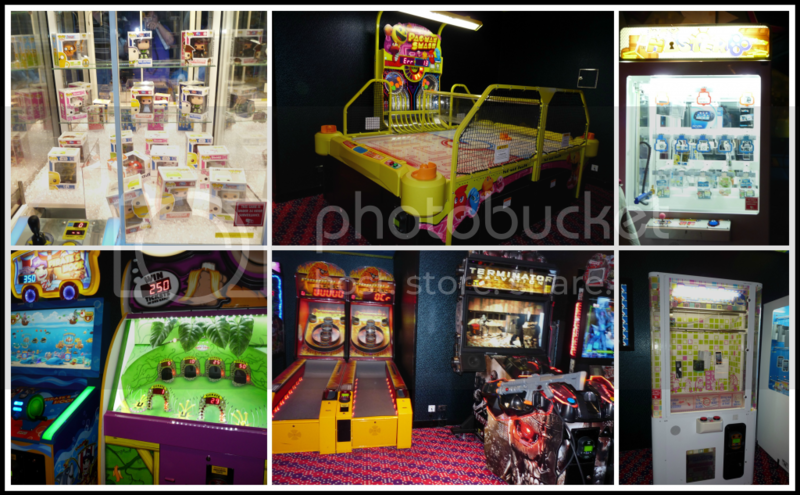 They had blackjack, poker, roulette, and even some fun crane games and other arcade type games to win cash. I like that in the casino you put cruise card into the slot machine to earn points to receive free drinks and other perks, but the best part was that you can charge your card right to your cruise account to get more cash for slot machine without having to get up. This was very convenient but could be a little dangerous. LOL For those wanting a little quiet time there were adults only as well as a special serenity area for those 18 and over. There was lots of live music all over the ship not just music in the clubs. I was very impressed with how much the musicians got the crowd going. While waiting for my husband to finish in a store, I said over the balcony and watched down below as did musicians were teaching a group of travelers had advanced salsa. People of all ages were up and dancing. I have two left feet, but I was still moving around a little in my spot trying to learn to. There was ship wide Internet that you could use with your devices but believe it or not this blogger unplugged for the entire week. Even my children went electronics free for the entire week and left their iPad, Kindles, and Nintendo DS systems at home. It certainly was a nice change. 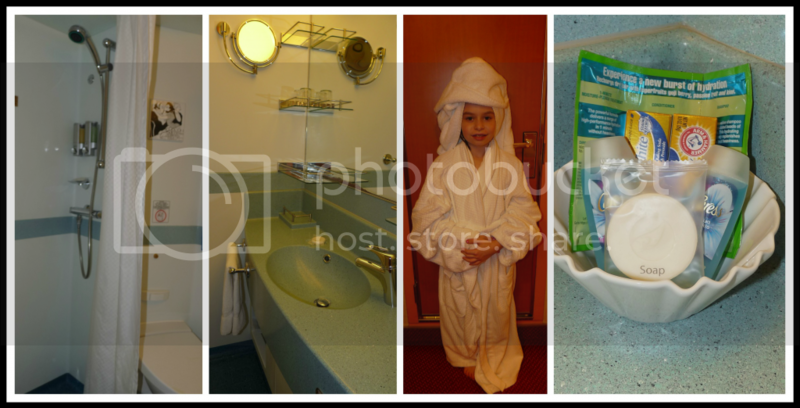 We were very impressed with the cleanliness of the ship. We constantly saw employees cleaning at all hours of the day and night. We even saw somebody vacuuming the ceiling! There was a hand sanitizer dispenser in front of each restaurant to prevent the spread of germs. 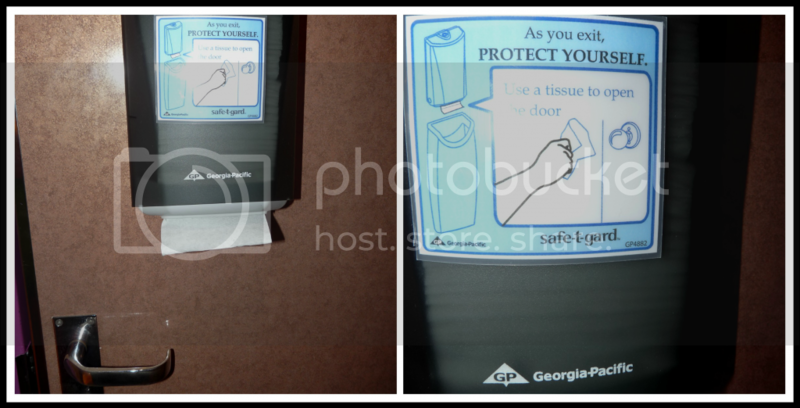 I really liked that inside the public restrooms on the door leading out of the restroom there was a little paper napkin dispenser so you can use the paper napkin to open the door without touching the handle. Right outside the bathroom was a garbage can to throw the paper napkin away. With so many reports of illnesses on cruise ships both of these were great additions. Our rooms were both nice size and each had three closets. The Kids Club was amazing. Both of our girls had a great time. We were welcomed by the Kids Club with a welcome package that included information, a coloring book, crayons, and a dry erase board when we first arrived at our rooms. The dry erase boards came in very handy. We put them on our stateroom doors and were able to leave each other notes about where we were going. There were lots of activities with the Kids Club including crafts, games, fitness, science and other educational fun. The counselors were very nice and learned all the children’s names pretty quickly. It was a nice personal touch. As a former teacher I really like that many of the activities were educationally-based. The children were grouped according to their age. My younger daughter was in the 68-year-old group and my older daughter was in the 9 to 11-year-old group. The free part of camp was over at 10 PM but then we also have the option of them playing in camp leader for a small fee. There were also several nights where there were parties for the children for a small fee. The only thing that was a little frustrating was that one night the 9 to 11-year-old group had a party until 3 AM where the counselors brought the kids back to their rooms and my eight-year-old was jealous that her group didn’t have a party like that. They did have babysitting for her but she was sad it wasn’t an actual party. She cried a bit when we dropped her off but of course when we came to get her she didn’t want to leave. LOL On a side note, I went to take a picture of one of the lounges where there was a kids group going on because I wanted to show what the room looked like. I was pleasantly surprised that the camp counselor stopped me because she didn’t want me taking pictures of the kids for privacy reasons. I explained that I was a blogger and that I was just taking picture of the room and promised not to take pictures with any children in them, she let me take a few more quick picture of the area without the children. I was happy to hear just how much they were protecting the children. 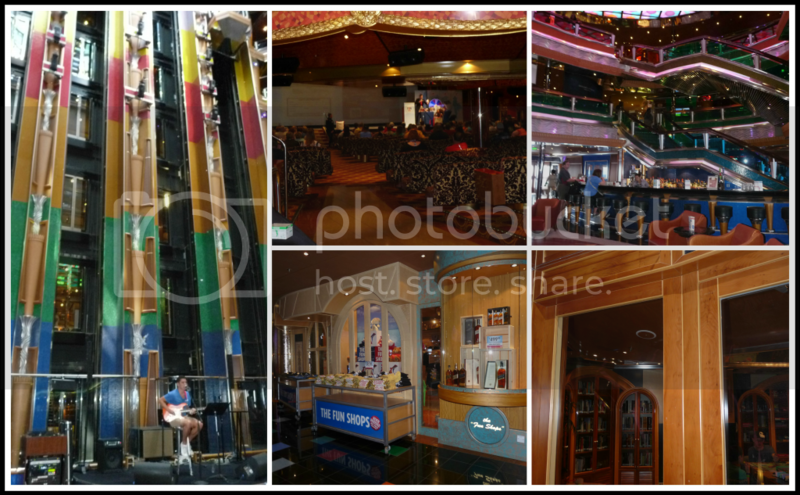 I have so much more to say about my awesome vacation on the Carnival Glory but this post is getting long.